Join Our Mailing List – Stay informed on WCBA news, meeting, and topics of interest! Effective November 1, 2012, we are now conducting business from remote locations rather than a physical office. We welcome any comments or suggestions you may have! BECOME A MEMBER! GROW YOUR BUSINESS CONNECTIONS! JOIN THE BEST HOME BUILDERS, REMODELING COMPANIES AND HOME IMPROVEMENT EXPERTS IN WASHINGTON COUNTY AND THE SURROUNDING AREA. 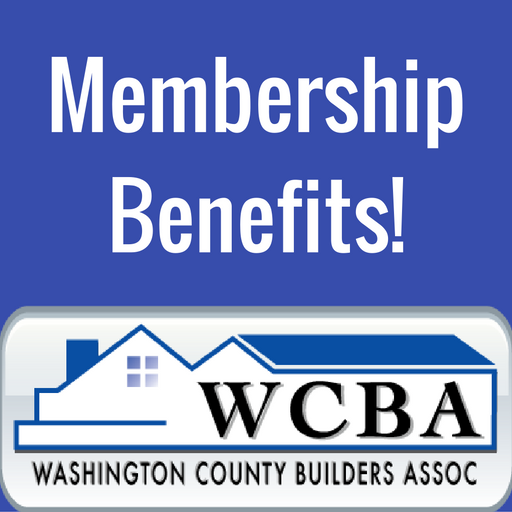 Download the WCBA Membership Application, and don’t hesitate to call us with any questions about the WCBA – The Washington County Builders Association!